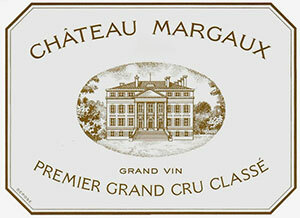 The 1990 Chateau Margaux has turned into a sensational wine that eclipses both the 1988 and 1989...and then some. It has a gorgeous, ethereal bouquet with sumptuous red berry fruit, leather, camphor and licorice—it is the kind of nose in which you just immerse yourself. Is there a hint of brettanomyces here? If there is, I don't really care. The palate is soft and sensual with incredible depth. Fleshy and corpulent for Chateau Margaux, and yet surfeit with breeding and finesse, there are layers or red fruit, kirsch, sage and fig, later tobacco and cloves. I feel that this 1990 Château Margaux is at its peak and yet the harmony, the sheer swagger of this wine just wins you over. Magnificent. Tasted May 2016.